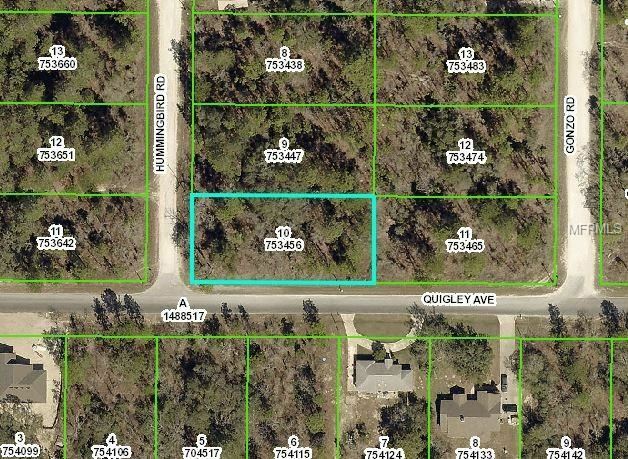 ROYAL HIGHLANDS WOODED 2/3+ ACRE CORNER PARCEL READY FOR YOUR DREAM HOME!! GREAT LOCATION, QUIET ROAD. CALL TODAY BEFORE IT'S SOLD!! 50 TO SUNSHINE GROVE RD. TURN LEFT TO CENTRALIA RD. TURN LEFT TO LELANI DR. TURN RIGHT TO QUIGLEY AVE. TURN RIGHT TO HUMMINGBIRD RD.